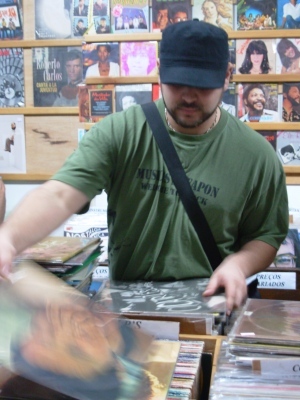 Record shopping in SAO PAULO, BRAZIL. 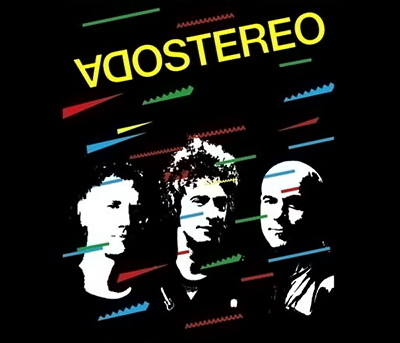 2006, Listen Recovery (Renz & Rich Spirit Revelli visit SAO PAULO, BR) our main object, records shopping and if money allow it, some cultural instruments. 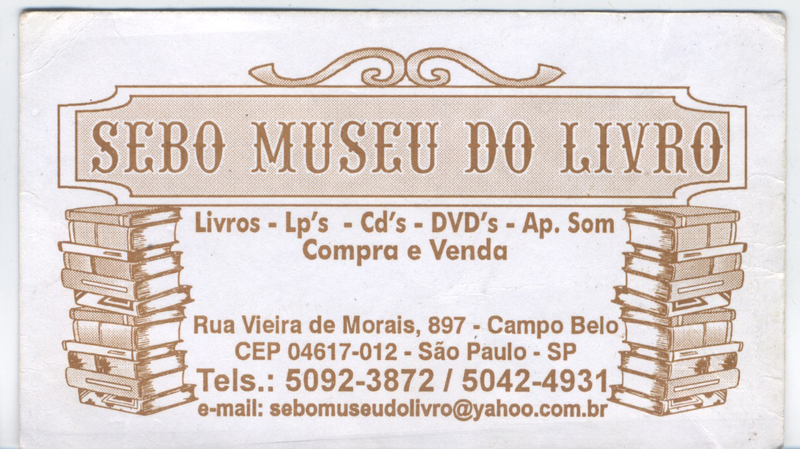 Our mission was to have fun and to experience the Sao Paulo living. 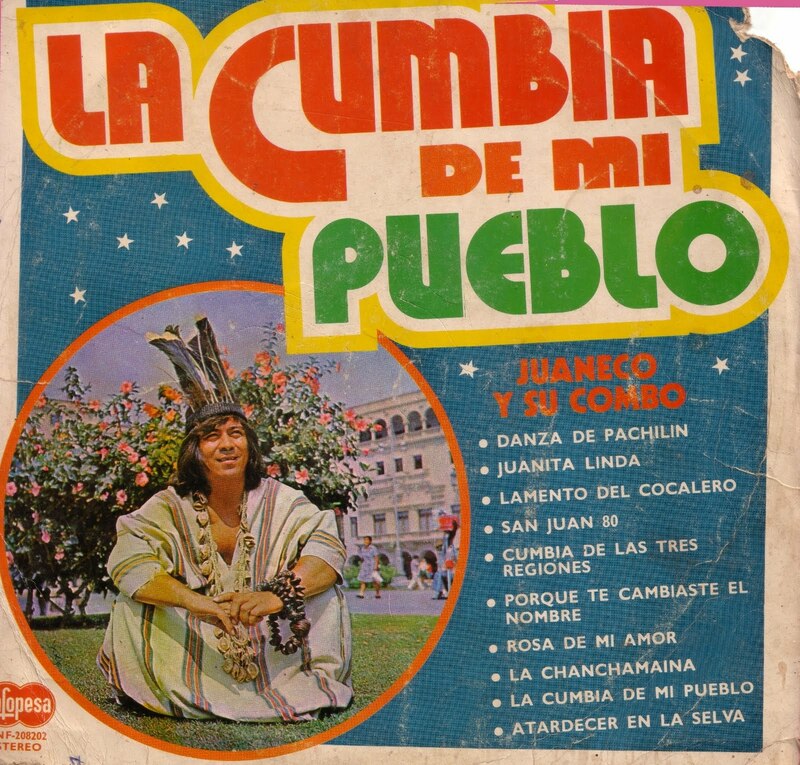 We stayed at Dj Nuts’ apt. 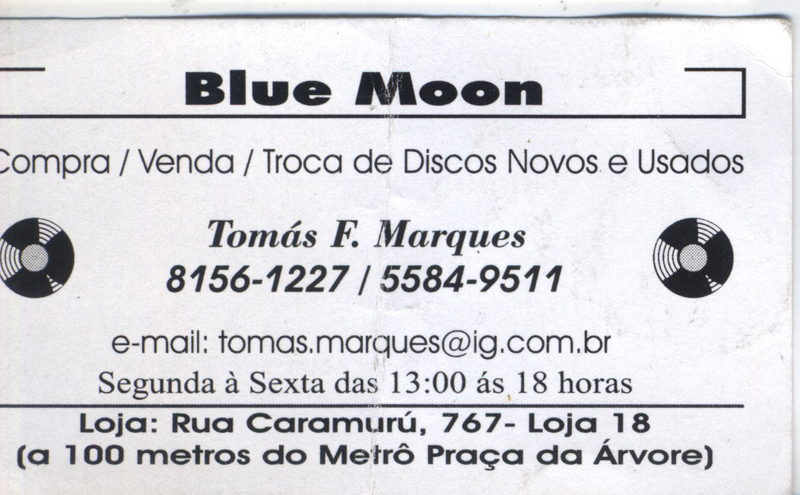 In Saude Sao Paulo, near Paulista Ave. (walking distance). 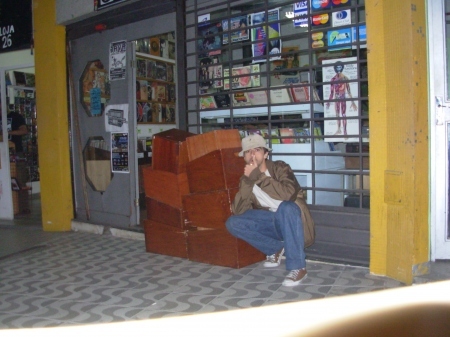 As the days passed by Rich and I searched for the MPB as well as rarities. 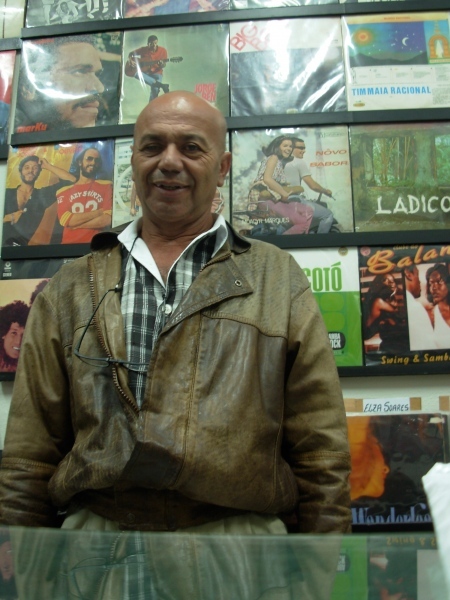 Our guide couldn’t be more knowledgeable about Brazilian Music and its History… So it was overwhelming the information giving to us in such short time… the connections from the early days of Bossa Nova to the psych Lps to Samba Rock… Disco 7 has been one of the main places where Nuts takes any visitor willing to pay well for records. 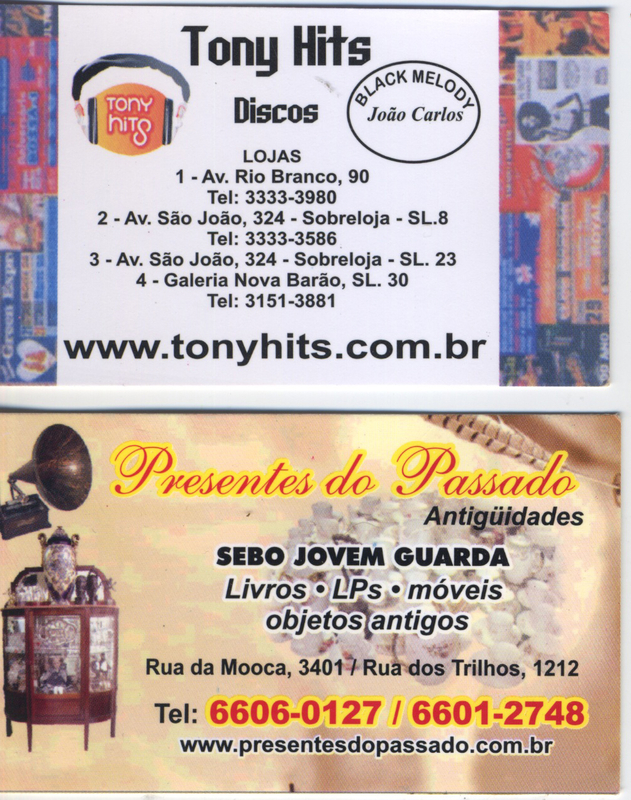 Brazilian records aren’t cheap!… and the exchange currency is not the greatest… 2006 (2 reis per dollar) not much of a difference… but the food was cheap and amazing, so that helped out budget… During the visit, the best way to obtain address and spots for records shopping was to ask for a business card or phone number. 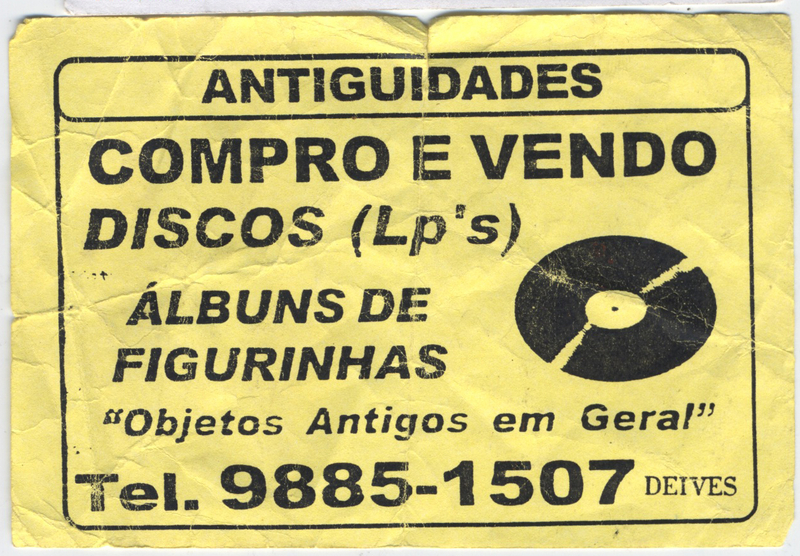 So if you are going to Sao Paulo BRAZIL and your going for record shopping… This info might help you… still current to this date. 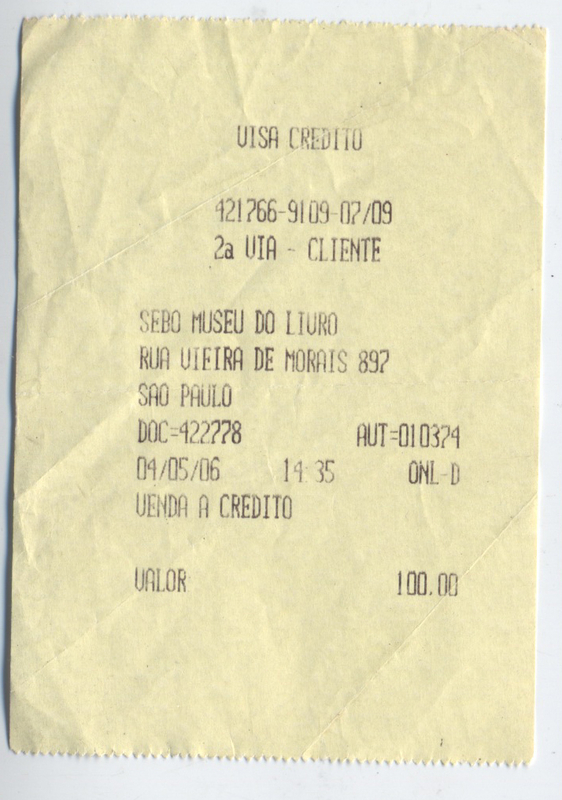 SERTO!… Also I should mention, we where there for the purpose of BRAZILINTIME, B+’s 2nd film. 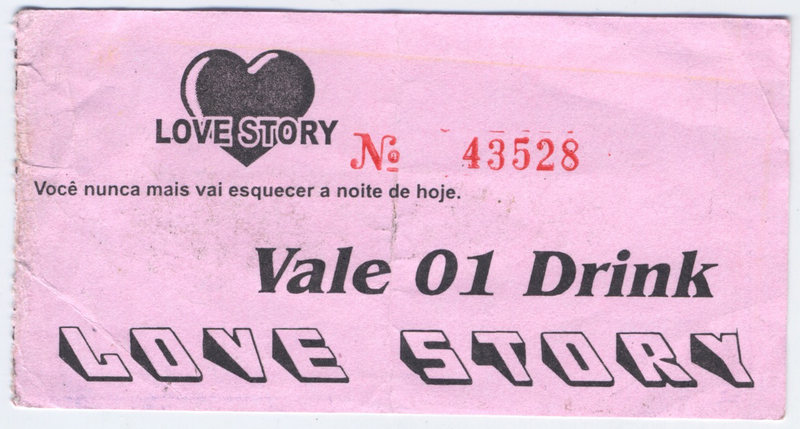 Also, one of the scan tickets belongs to “Love Story”… a night club that caters the night-women in SP. We checked out since it was a funny buzz about it… anyhow… here are some scans from what I was able to fund during a shop clean-up. RECOVERY CRU! 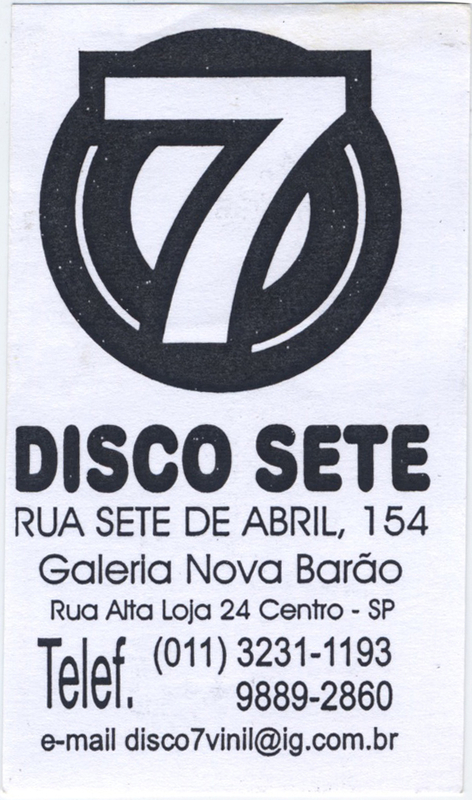 DISCO 7 (ask for Carlinho) he’s the man!